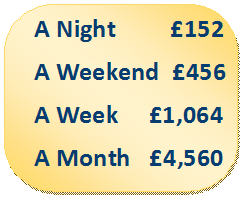 Sponsoring a Nurse through our appeal ’1 night of 365’ for £152, is an opportunity to make a huge difference. You will be helping ensure that care and support are available for patients and their families today, tomorrow and into the future. The nursing service provides free expert, individualised nursing care 365 days of the year to local people during end of life. By supporting family members and carers to continue to care for the patient. By providing care to enable family members and carers to have time to themselves. By providing nursing care at the end of life. Nursing care can be provided over a period of hours, days, weeks or months, depending on the individual needs. 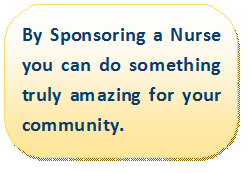 So why not consider Sponsoring a nurse for more than one Night. Become a regular giver, annually/monthly by standing order. You could also consider organising a fundraising event and Sponsor a Nurse as a group. In recognition of your support and kindness a special certificate of appreciation will be forwarded, on behalf of our future patients to thank all you for going the extra mile. With everyone’s help you will be making an importance difference to our local community who are enduring difficult times. Thank you from everyone at Hospice at Home Carlisle and North Lakeland. If you are supporting this appeal through a business..
As a business there are many ways you can donate and numerous more benefits for your organisation. A strong connection with a recognisable local charity, close to people’s hearts. A certificate of your participation to display. A great opportunity to engage your staff and increase moral with additional fundraising for Hospice at Home Carlisle and North Lakeland. An occasion to fulfil your internal corporate social responsibility objectives, enhancing your position as a socially responsible company. We will provide you with the ‘1 Night of 365’ logo for use on your website or marketing materials. Your business name can also be featured on our social media sites.